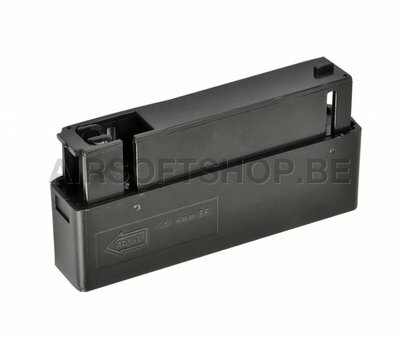 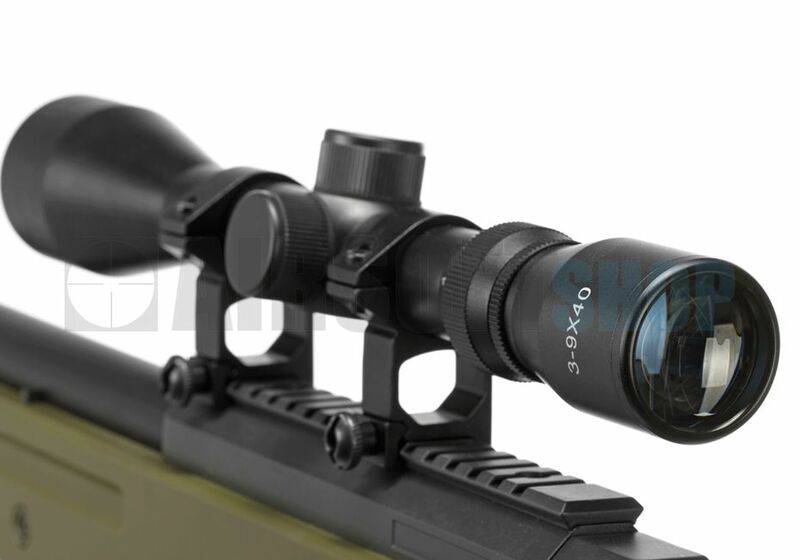 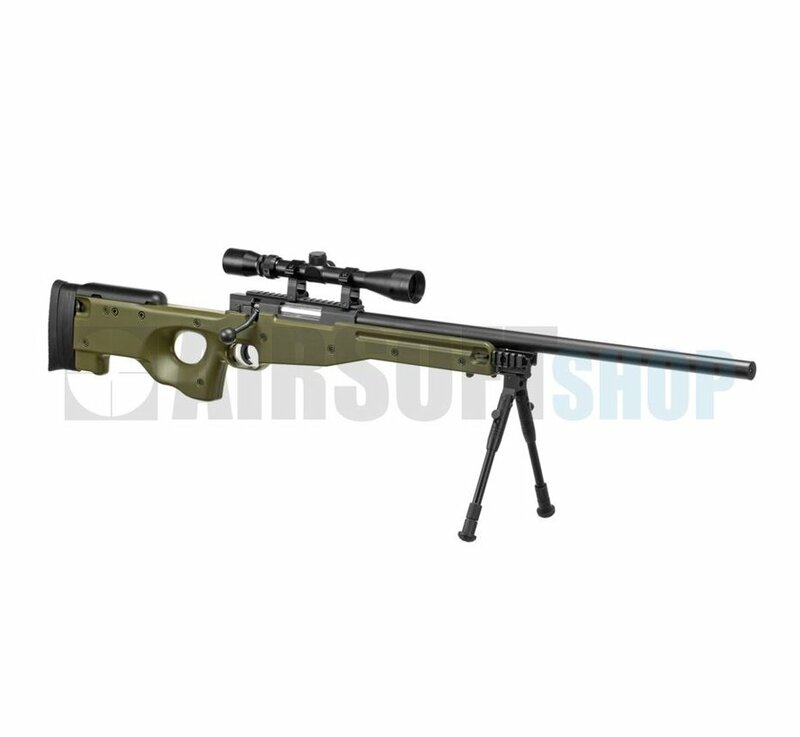 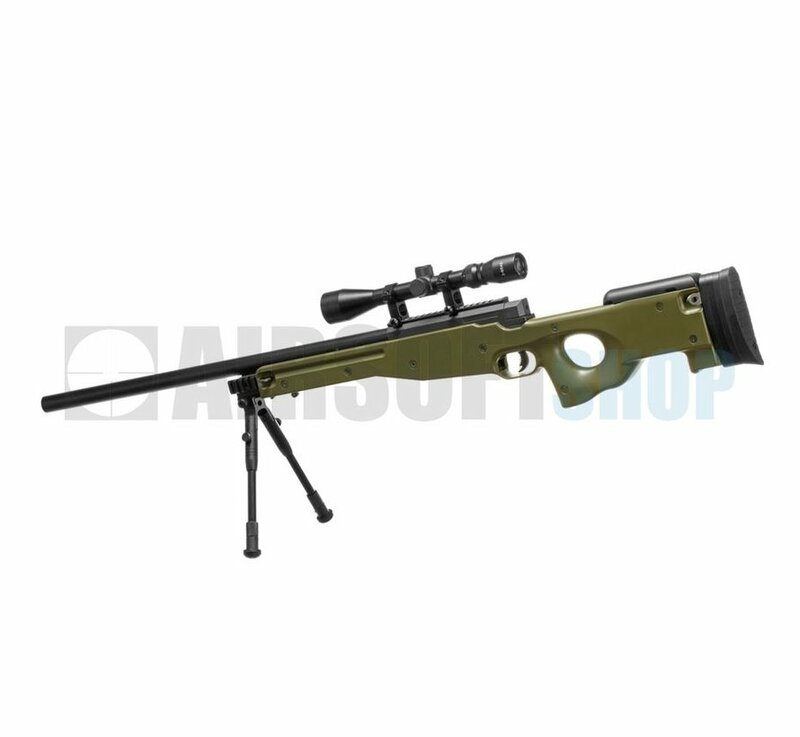 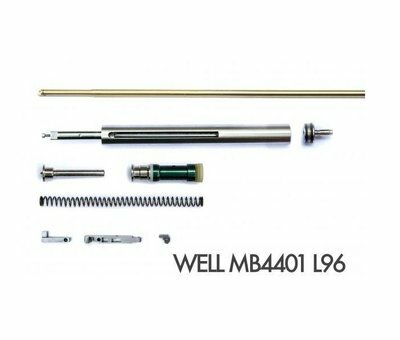 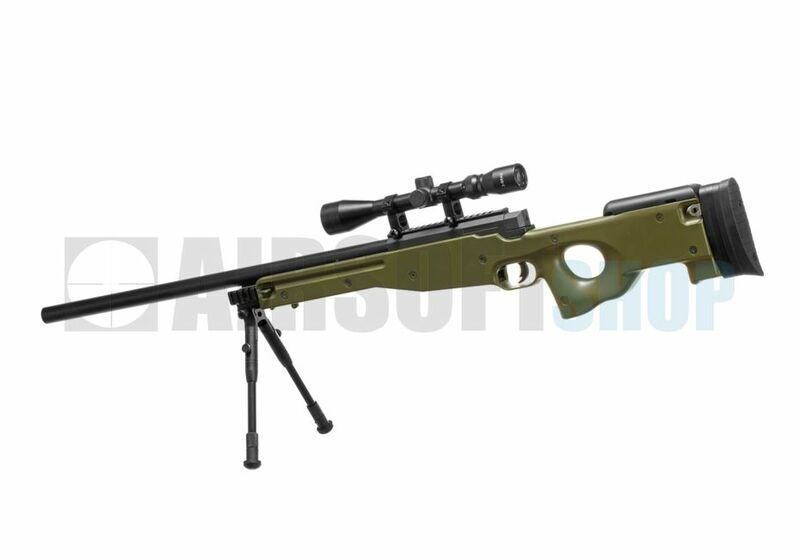 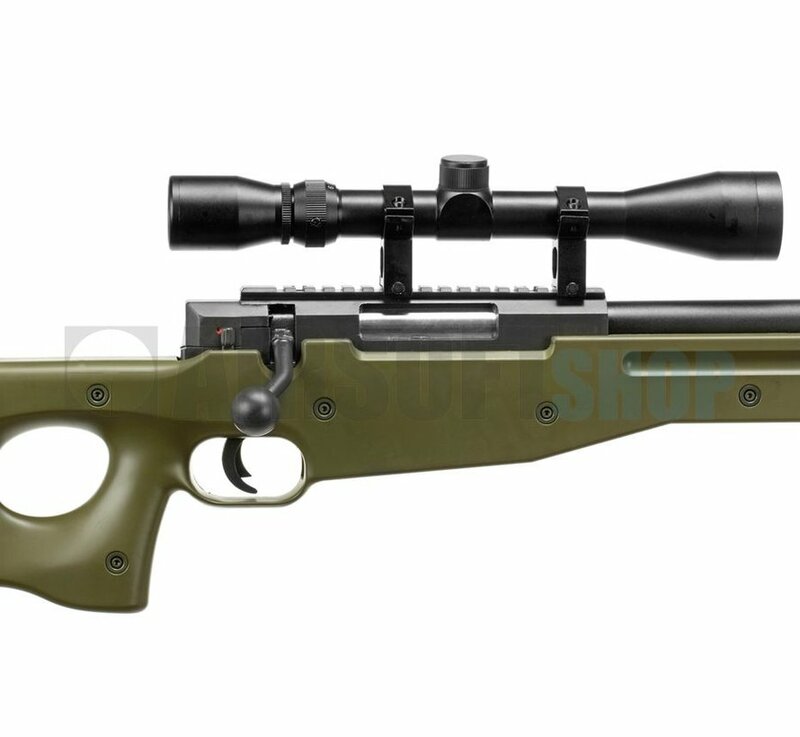 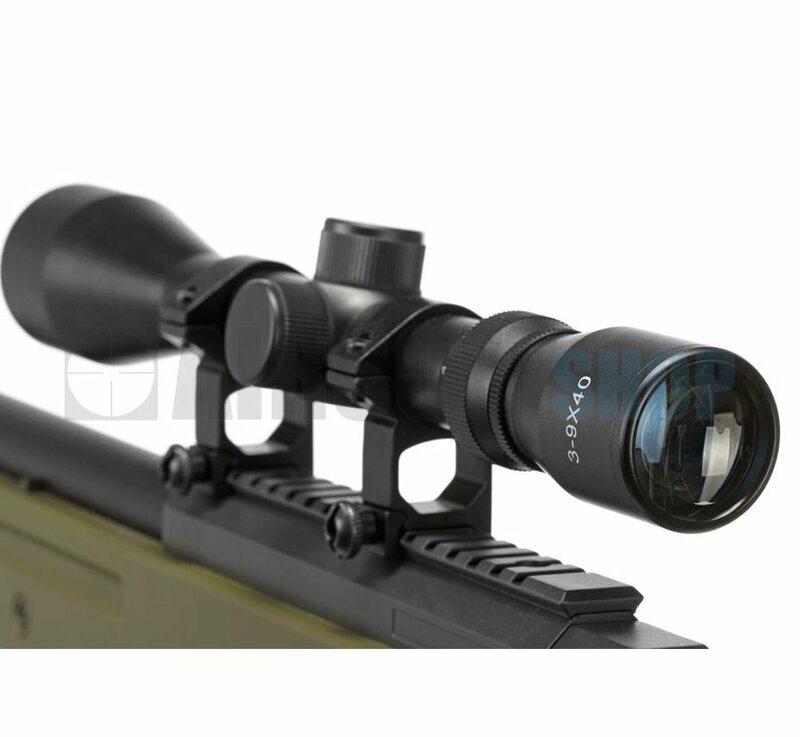 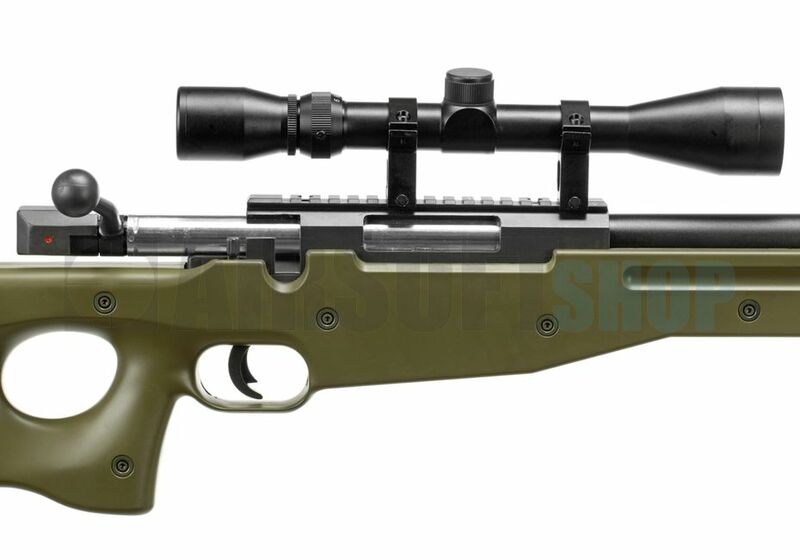 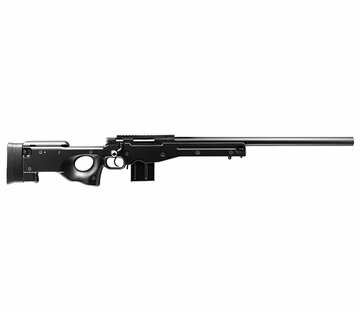 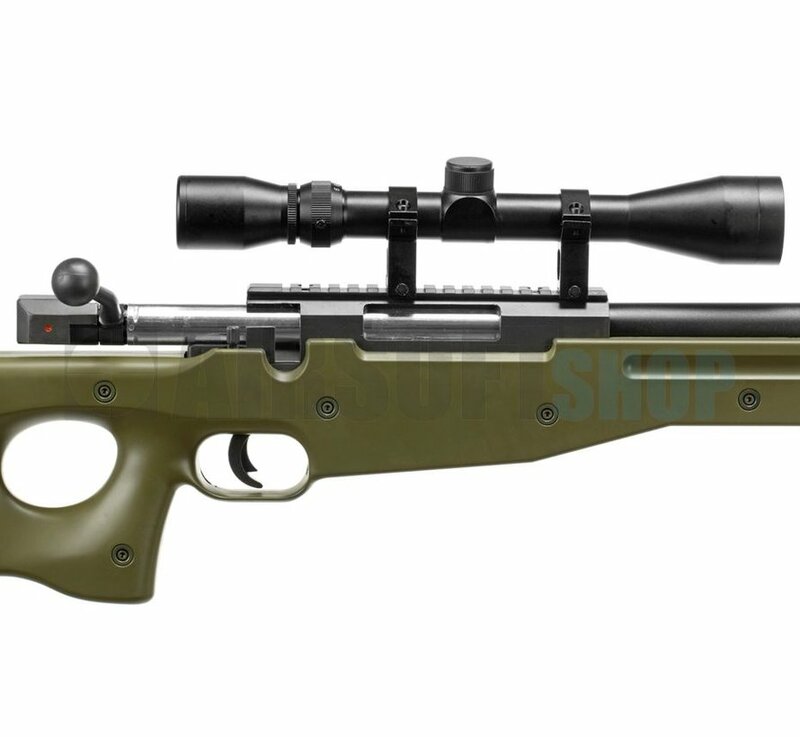 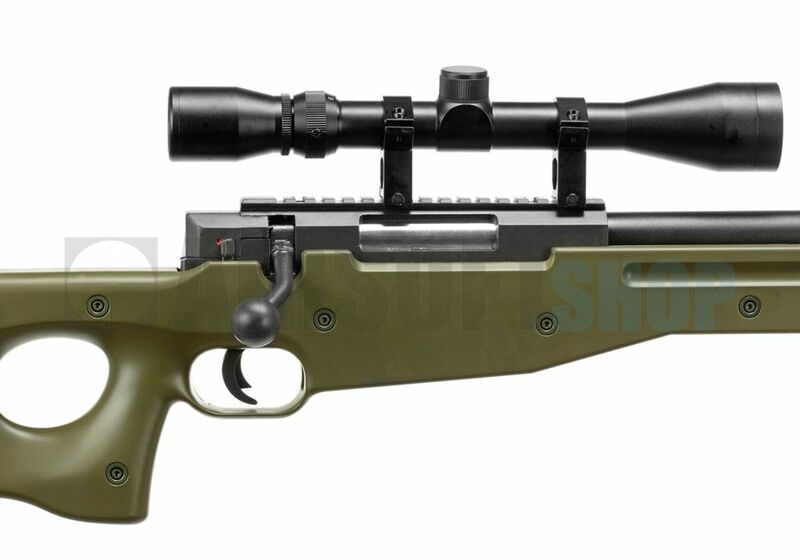 WELL L96 Sniper Set Airsoft Replica. WELL L96 Sniper Set, met bipod en scope (3-9x32). Includes: Rifle, speedloader, sling, bipod and scope.